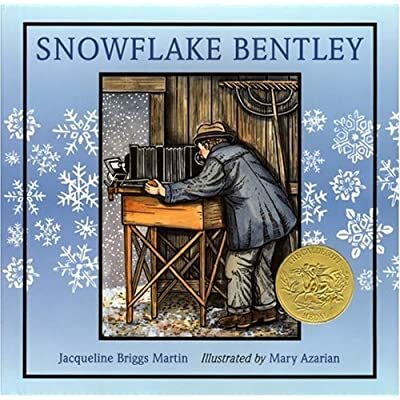 The Caldecott Medal winning Snowflake Bentley is a true classic. The true story of an amateur scientist and his relentless pursuit to capture images of snow crystals is touching, well written, and a great source for teaching about inquiry, the nature of science, and matter. Check out snowflakebentley.com for online images and supporting resources. How to use this book: I love to use this book “on the fly’- I wait for the first snowflake to fall during a school day, punt on whatever lesson we were doing, read Snowflake Bentley, view some of his real images online, and go out to observe some snow. Makes me feel ready for snow just thinking about it. Supporting Resources: Snowcrystals.com has more wonderful images to enjoy. The book Picture Perfect Science Lessons has suggestions on how to use picture books to teach science concepts.